The story may be good, but I just can’t get past the narrator. Didn’t get past chapter 2. Besides the fact that the narrator made female voices sounded like drag queens, the cursing was over and above. Not at all what I was expecting. Disappointed. 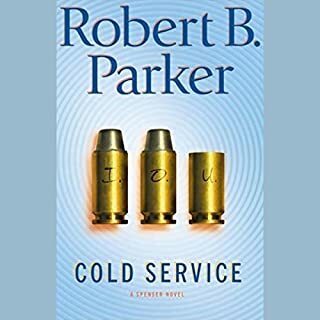 When Spenser's closest ally, Hawk, is brutally injured and left for dead while protecting bookie Luther Gillespie, Spenser embarks on an epic journey to rehabilitate his friend in body and soul. Hawk, always proud, has never been dependent on anyone. Now he is forced to make connections: to the medical technology that will ensure his physical recovery, and to reinforce the tenuous emotional ties he has to those around him. Parody of Parker--Pass it by! Very annoying to have SAID at the end of each sentence. Never got past 5 minutes. Marc Seidman awakens to find himself in an ICU, hooked up to an IV, his head swathed in bandages. 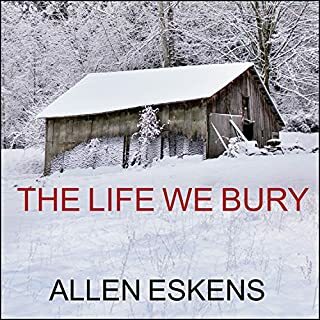 Twelve days earlier, he had had an enviable life as a successful surgeon, living in a peaceful suburban neighborhood with his beautiful wife and a baby he adored. Now he lies in a hospital bed, shot by an unseen assailant. His wife has been killed, and his 6-month-old daughter, Tara, has vanished. But just when his world seems forever shattered, something arrives to give Marc a new hope: a ransom note. The story was fine up until the disappointing and hard to believe ending. Scott Brick is great, as always. Good characters. Good story. Great narration. I would definitely recommend this book. It's a mystery, but so much more. The story is good. But the narrators.... Ugh!! Someone mentioned that the male narrator sounded like he had marbles in his mouth. I agree. I know this accent, but he sort of slurred the words. I turned up the volume in an effort to understand him better. And the woman... OMG. She was easy enough to understand, but the gravelly voice was not pleasant. And she took a breath. In the middle of the sentence. 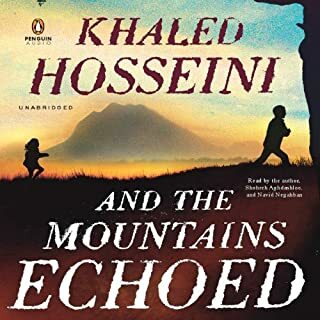 I'm still listening to this book as I am enjoying the story and the eloquent use of the English language, but before I get another of Mr. Hosseni, I will certainly listen to a sample. Please Mr. Hosseni... If you read these reviews, think twice before using these narrators again. 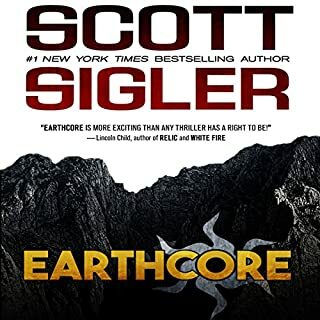 I have over 300 audible books and this one ranks at the very bottom as far as the narration goes. I thought this would be a nice mystery and love story. But it was so much more. Kate Morton kept weaving together the various stories.....Like a finely knit sweater with an intricate pattern that comes together so beautifully. The plot kept on twisting. Just when I thought I'd figured out what was going on, it took another direction. I absolutely loved this book. The narrator, Caroline Lee, was perfect. I could hear the emotion of the characters through her. 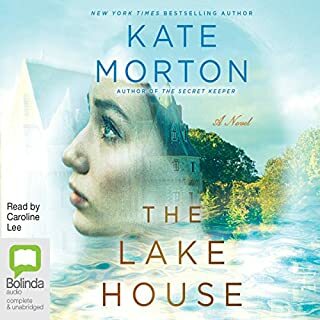 I'll certainly be reading more Kate Morton novels and will be very happy if Caroline Lee is the narrator. A perfect match. 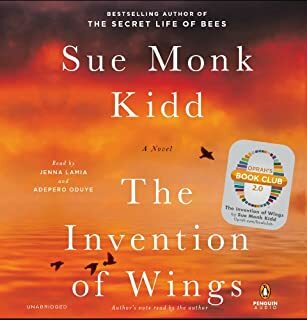 If you could sum up The Invention of Wings in three words, what would they be? Both Sarah and Handfull were equally strong and determined women. Jenna Lamia is an excellent narrator. She speaks clearly and leads the listener to believe that she is the character and not just reading the story. Its hard for me to describe, but I found myself in awe of her talent...the rise and fall of her tone, the softness of her voice. Just an excellent narrator. 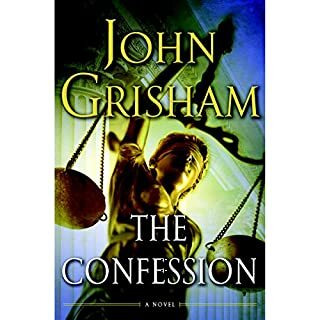 I have listened to others books she has narrated and have enjoyed them as well. Adepero Oduye was also excellent. They both made this wonderful story so much more enjoyable than if I had read it myself. 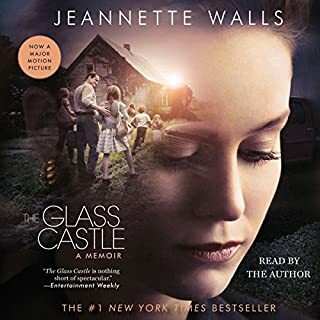 Where does The Glass Castle rank among all the audiobooks you?? ?ve listened to so far? 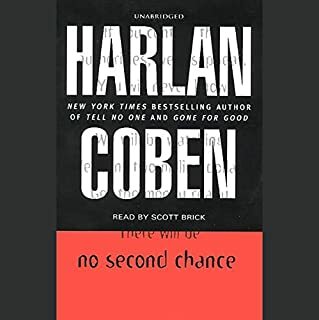 In rates in the top 30 of the audible books I've listened to - which is over 300. I liked the main character and her strengths. Not enough space to go into detail. Favorite scene was when she, at 15 years of age, rode horse for several days, alone, to reach her destination. 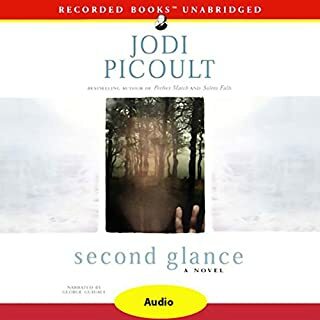 An intricate tale of love, haunting memories, and renewal, Second Glance begins in current-day Vermont, where an old man puts a piece of land up for sale and unintentionally raises protest from the local Abenaki Indian tribe, who insist it's a burial ground. When odd, supernatural events plague the town of Comtosook, a ghost hunter is hired by the developer to help convince the residents that there's nothing spiritual about the property. Who ever heard of eugenics??? I never did - not in Vermont! This was a good story - a love story, a ghost story, suspence and mystery, and you learn something to boot! George Guidell -if you read this.... you are my all time favorite reader. You have such a warm, compassionate, easy-to-listen-to voice. I have listened to you so many times, that I feel we know each other. You ride with me in the car all the time. Don't worry though - I'm a good driver :-) Great Book. Great Narration.